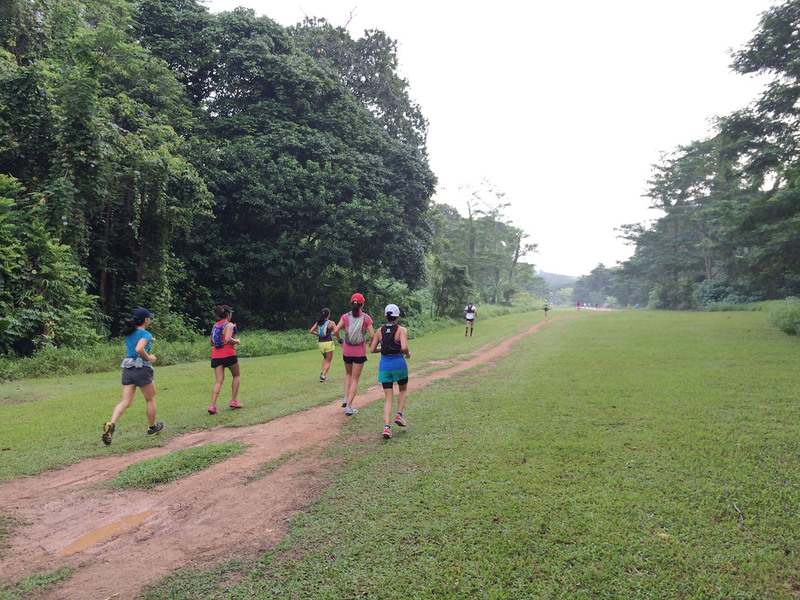 Since the redevelopment of the MacRitchie Trails and introduction of The Green Corridor, trail running in Singapore has been literally been on a trailblazing rise, thanks largely to the the pristine natural and man-made heritage, as well as the physical challenges it offers to running enthusiasts. 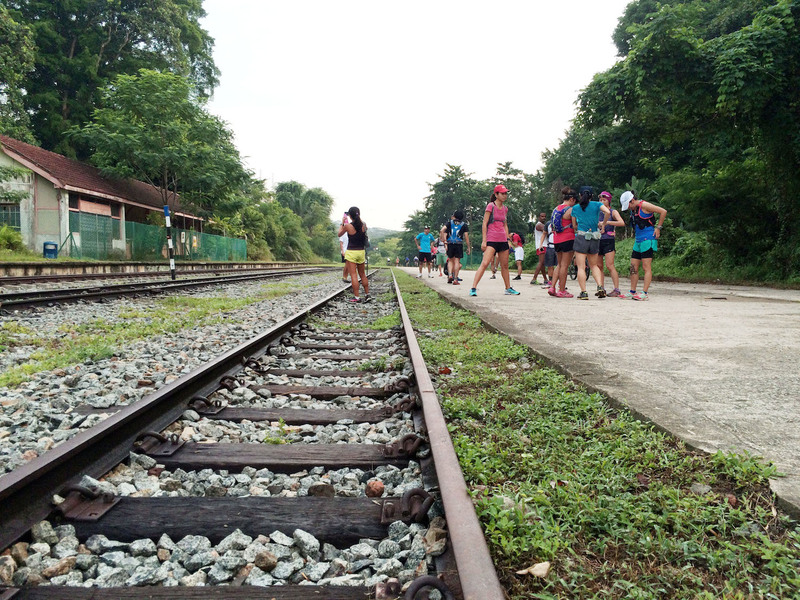 Having only walked along The Green Corridor on previous occasions, I decided to try my hand at one of these runs organised by the aptly titled Trail Running Singapore, a group of enthusiasts that brings like-minded runners to exchange trail running information, all while helping newcomers embrace nature altogether. The vast expanse gives makes you realise that there’s so much more to Singapore than what we usually think there is. Depending on your fitness and familiarity, trail running might be a bit of a challenge to the uninitiated, and I found the undulating terrain at times affecting my normal breathing pace. My Nike Air’s that are comfortable for normal road running also seem to be a little too thin for trail runs, and I really wasn’t comfortable carrying a non-ergonomic waterbag for the run (I literally carried a backpack with a water bottle inside). That being said, trail running definitely eliminates the boredom that many runners, including myself, face when running along the pavements and even park connectors. 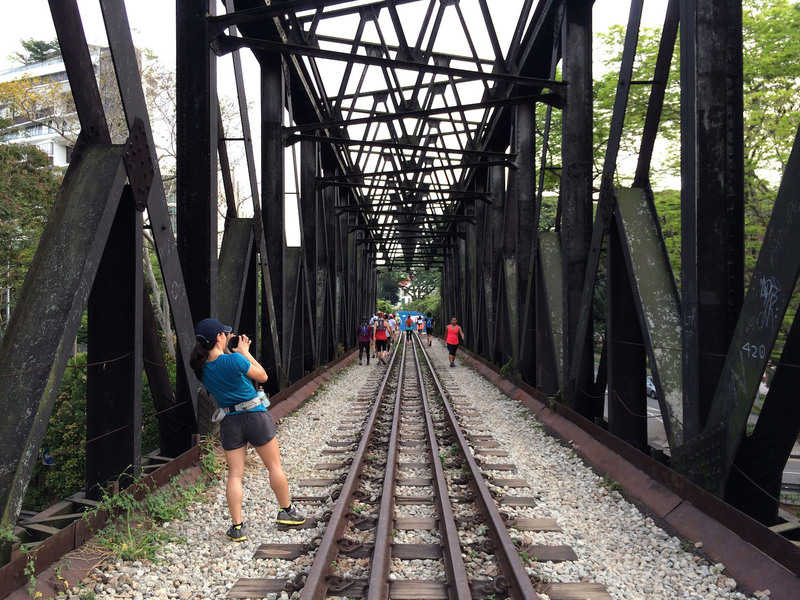 Squirrels, dogs, and of course the many landmarks along The Green Corridor, such as the Truss Bridges and former Bukit Timah station, make getting to each ‘checkpoint’ along the trail much more rewarding. People also seem much happier running along the trail, as I can’t remember the last time I was greeted by more than three random strangers in a day. The slightly undulating terrain does affect one’s normal breathing pace, but more than makes up for it with the lush greenery and unexpected finds. 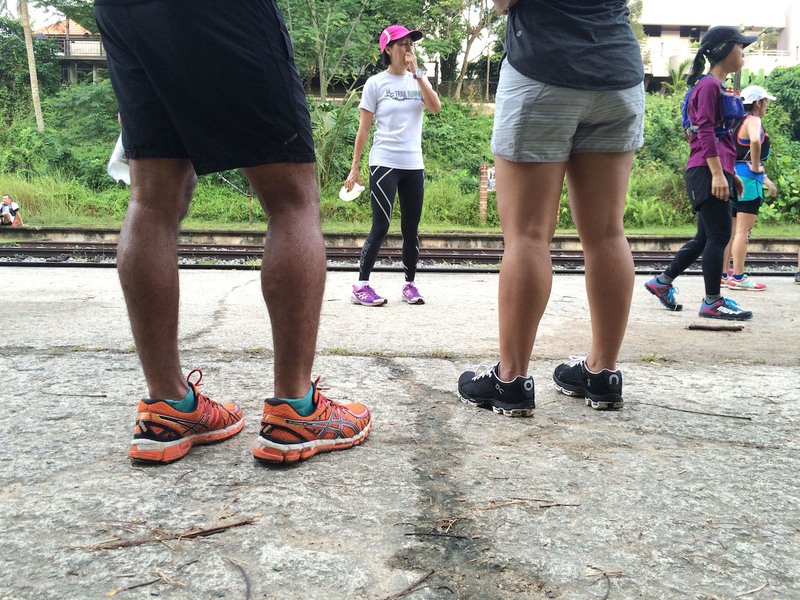 Runners stopping at the former Bukit Timah Station of the KTM Line, one of the many checkpoints throughout the run. Always have the right footwear when taking on a trail run. 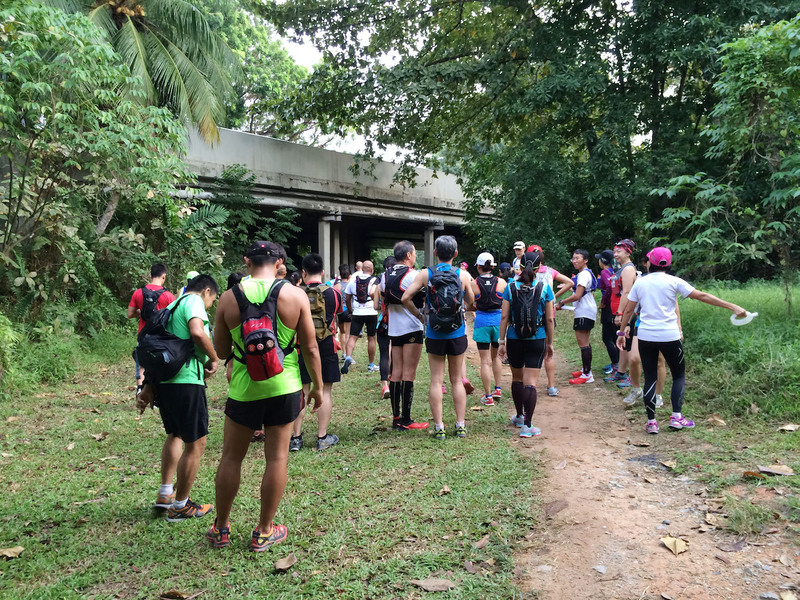 Ultimately, trail running is definitely a breath of fresh air to our urbanised community, and will definitely help to foster a greater appreciate for both the natural and also man-made heritage found throughout the numerous trails in Singapore. 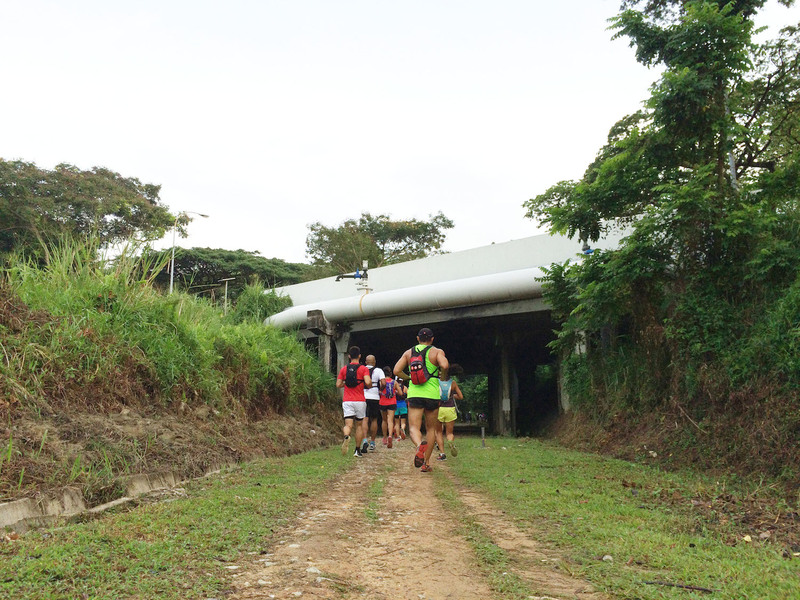 For more tips on what to expect and trail runs and how you should prepare for them, just checkout this article HERE. Instagram-worthy checkpoints such as this Truss Bridge just beside the former King Albert Park Centre make for more ‘motivational’ checkpoints. 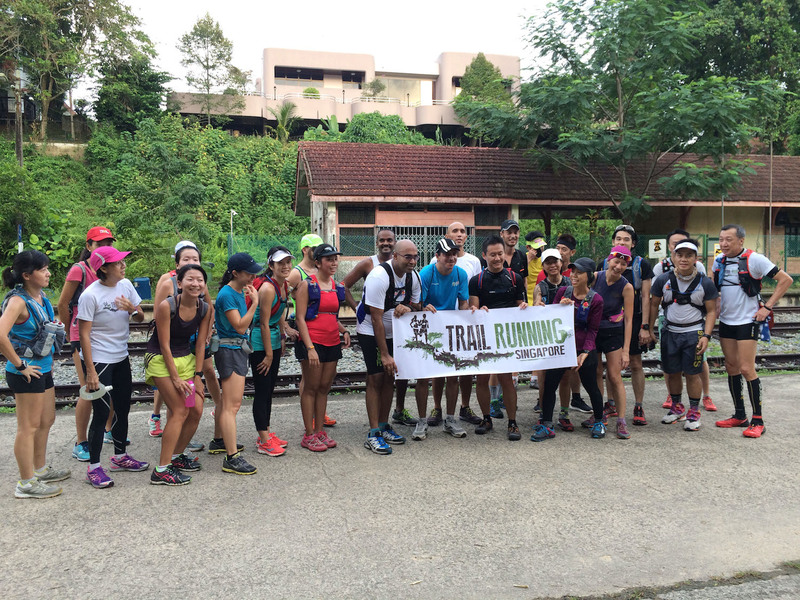 The Trail Running Singapore team is made up for running enthusiasts that help exchange tips and ideas on trail running while encouraging others to embrace the wonders of nature at the same time.